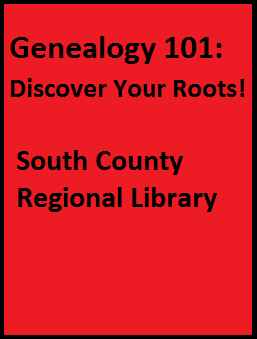 This program is especially designed for individuals who are new to genealogy and want to learn how to get started. Online and book resources are covered as well as how to read documents such as census reports, wills, deeds and marriage records. Handouts include a bibliography and a family chart. For directions, see the branch page of the South County Regional Library.